Since placing dental implants in Waco requires patients to undergo oral surgery, your dentist does everything in his power to be as proactive as possible before beginning treatment. The more he knows about a specific case, the better prepared he’ll be when the time comes to enter gum tissue and place an implant. To do this, he makes use of a very specific machine known as the 3D cone beam imaging system. Your dentist also takes advantage of CEREC, a technology that makes producing crowns easier and faster. Today, we’ll be going over both and learn how benefit patients seeking dental implants. With the 3D cone beam imaging system, your dentist can build a treatment plan for dental implants more effectively and more accurately than ever before. This is done by creating an image that helps your dentist better visualize your facial structure. The system uses radiation similar to 2D imaging, but instead of only taking a flat image of your facial structure, it provides a full 360-degree image. The 3D cone beam allows your dental team to examine key parts of your mouth to better plan your treatment, such as bone volume. This makes it easier to plan how the implant needs to be positioned for maximum healing potential. CEREC is an acronym for a tool that allows your dentist to produce high-quality dental crowns entirely in-office. CEREC stands for “chairside economical restoration of esthetic ceramics,” meaning it can produce extremely accurate dental crowns the same day you visit. This is ideal for practices that also provide dental implant services. The software uses CAD/CAM technology, which stands for computer-aided design and manufacture, to produce crowns quickly and effectively. This means you won’t have to wait an additional two weeks just to receive your dental crown. Keep in mind that choosing a CEREC crown doesn’t mean you need to sacrifice quality for convenience. You can still get a well-fitted crown that’s blended to look natural and match the rest of your teeth. This way, no one will be able to tell the difference. Compared to other tooth replacement options, there’s really nothing quite like dental implants in Waco. Not only are they the most natural and durable replacement option available, but they’re the only option that prevents bone resorption, stimulates bone, and allows blood flow to continue to the tooth. Furthermore, the crowns used for dental implants cannot become decayed since the porcelain used is non-organic. This means that organic lifeforms like bacteria cannot consume it, making oral care easier to perform. Just remember to brush underneath and around the implant to keep the gum tissue healthy. 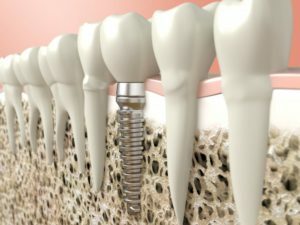 With technology like this, you’re guaranteed to leave the practice with an implant that should last you a lifetime. To learn more about the process, schedule an appointment with your dentist today! Dr. Nick Cobb earned his dental degree from the University of Texas Dental Branch at Houston. According to him, patients deserve the highest level of diagnostic and treatment technology to ensure every procedure is as successful as possible. To learn more about his practice, contact him through his website.